See a world class show at the Milton Centre for the Arts, ride an antique street car at Halton County Radial Museum or experience the thrill of chuggin’, smokin’ steam-powered tractors at the Labour Day weekend Steam-Era Festival at Country Heritage Park. For an evening of dining and entertainment, you can’t beat the excitement of standardbred racing at one of North America’s leading racetracks — Mohawk Racetrack in Campbellville. Finish off your evening at Ontario Lottery & Gaming Slots at Mohawk Racetrack… or come during the day, they are open 24/7! Come & enjoy an interactive experience at Country Heritage Park, and find for yourself why it’s described as a historical hidden gem. Discover the look and feel of rural living over 180 years ago. With 30 unique historical buildings, 20,000 artifacts, & its striking Niagara Escarpment surroundings, the park is a must-see destination for everyday outings, educational experiences, weddings, and special events. Welcome to Downtown Milton! Discover small town character and natural beauty in the heart of Milton! Historical charm, small-town character and natural beauty combine to make Downtown Milton a destination for all to enjoy. Over 170 shops, eateries and services welcome you to our Downtown community. Come out to the Halton County Radial Railway for an experience you won’t forget. Come ride the streetcars! The Halton County Radial Railway (HCRR) is a full-size operating electric railway and museum, featuring historic electric railcars operating on two kilometers of scenic track. The HCRR is owned and operated by the Ontario Electric Railway Historical Association (OERHA), a non-profit, educational organization. The HCRR is proud to be Ontario’s first and largest electric railway museum. Your admission gives you access to display barns, railway station AND unlimited rides! Free parking is also available. 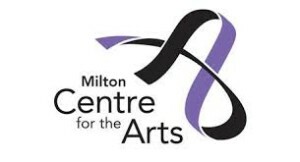 The Milton Centre for the Arts (MCA) is the community’s cornerstone for creativity! Ignite your imagination in this unique, state-of-the-art facility offering exciting performing, visual, media and literary arts experiences for all ages, thanks to the support of the Governments of Canada and Ontario, the Town of Milton Investment in the Arts Campaign as well as community and corporate donors. As the only venue in the province to host both live Thoroughbred and Standardbred racing all year round, Woodbine Racetrack delivers pure horsepower. We also offer off-track betting for your enjoyment. When you’re ready for a break, check out Woodbine’s tempting restaurant options. Visit the Willows Restaurant featuring our Noodle Bar to enjoy a delicious buffet or an à la carte menu or noodle bowl. Or the Hoofbeats Lounge with quick service and a hot and cold menu. With all of this action and entertainment under one large roof, it’s no wonder that OLG Slots at Woodbine Racetrack attracts millions of visitors each year. Perched on the northwestern edge of Toronto, just a hop, skip and a jump from Pearson International Airport, you’ll find OLG Slots at Woodbine Racetrack. This exciting facility features over 2,500 slot machines, ranging from 1¢ to $5 per play. Try your hand at our virtual table games such as Blackjack, Baccarat, Roulette and Sic Bo or try Wheel of Fortune, Hot Shots, Redhot Jackpots, Mighty Millionaire featuring Michael Jackson and Betty Boop and many more exciting slot games for your gaming enjoyment. Plus visit our new electronic poker room! We are an antique stained glass store selling English windows created between 1880 – 1940. Artisans work on repairing windows on weekdays and are able to demonstrate the methods of working with antique windows. Feel free to ask them any questions you may have expecially about stained glass creation and stained glass design styles. Many of our artisans are available to do commission work such as repairs or creating new windows. In November and December, we also create a community Christmas display. The Singleton Family Christmas Festival of Lights is open to the public free of charge from mid-November to the end of December. Everyone is welcome. Donations are gratefully accepted and all money raised goes to Halton Women’s Place for its children’s programs. 8565 Guelph Line, Campbellville, ON.